Permafrost zones occupy up to 24 per cent of the exposed land area of the Northern Hemisphere. 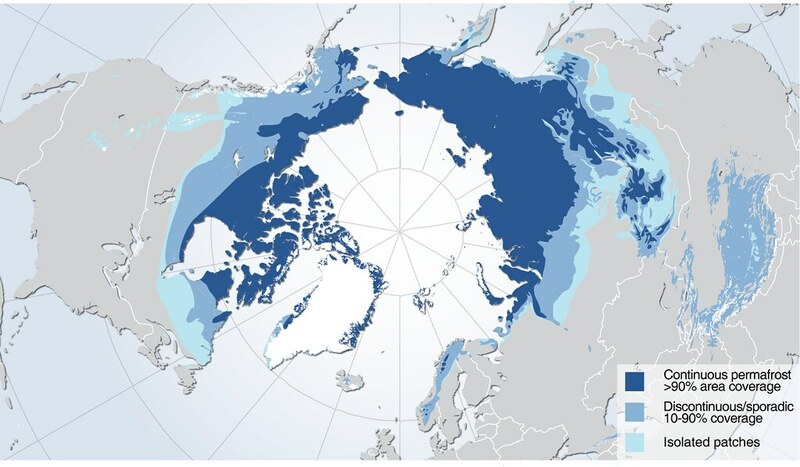 Permafrost is also common within the vast continental shelves of the Arctic Ocean. This subsea permafrost formed during the last glacial period when global sea levels were more than 100 m lower than at present and the shelves were exposed to very harsh climate conditions. Subsea permafrost is slowly thawing at many locations. Permafrost of various temperatures and continuity also exists in mountainous areas, due to the cold climate at high elevations.